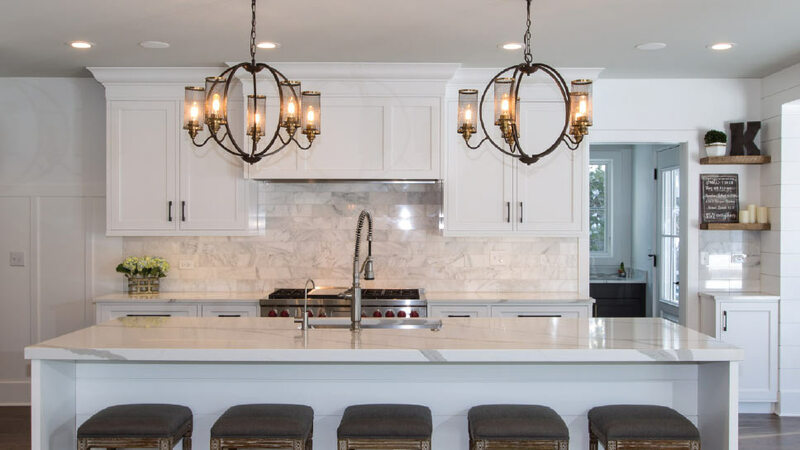 When a Western Springs family decided to upgrade the kitchen in their 12-year-old American Classic home, they called on the experts—LaMantia Design & Remodeling in Hinsdale. Designer Jackie Prazak says after visiting the home for the first time, she was struck by the cramped opening to the kitchen leading from the front door. 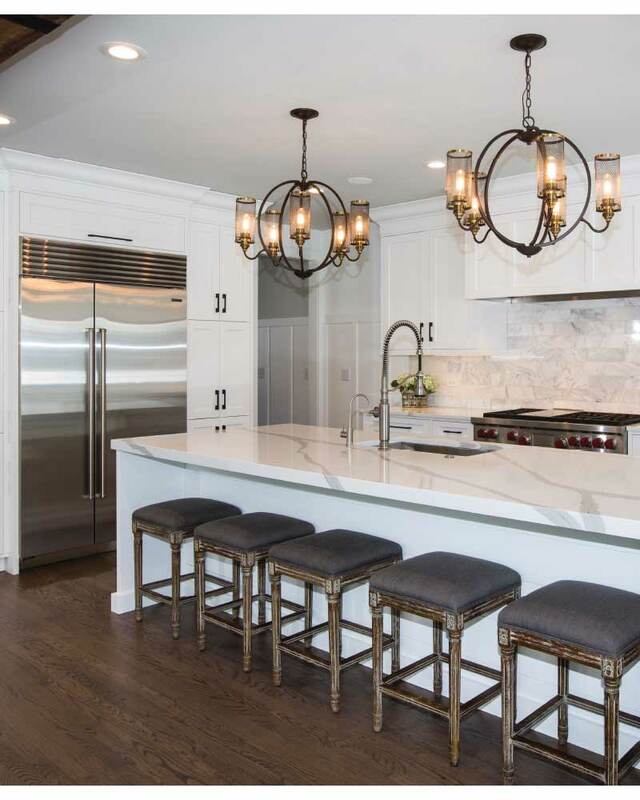 Today, the family enjoys a luxurious open floor plan for entertaining and a new layout that is more conducive to hosting their extended family. 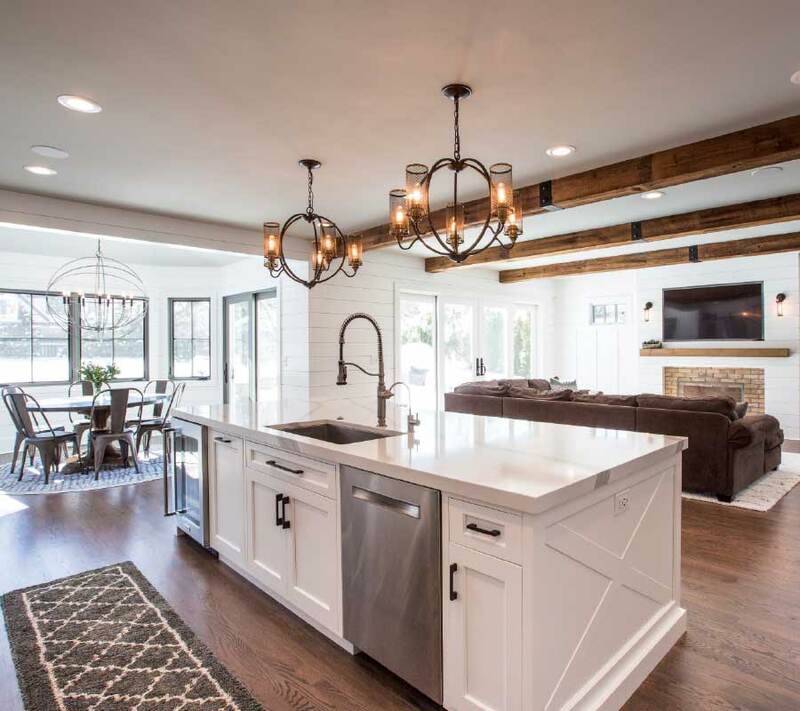 Prazak says the couple requested that the design team bring in a touch of the Malibu coast, with shiplap walls, painted maple cabinets, batten siding, and reclaimed wood beams. As always, the homeowners found the process of working with the LaMantia team to be easy and stress-free. Since 1973, the company’s design build approach to the construction industry—executed by an award-wining design staff—has been the winning combo for success. The project took four months from inception to finish and the family could not be happier. An open concept makes the Western Springs kitchen light and airy. One of the unexpected favorites was the mudroom, which was included in an addition to the home. With porcelain planks and direct access to the back yard, it’s certainly allowing guests to make an entrance at this home.